Mobile devices have a great disadvantage compared to other computing devices, they are small and easy to lose. These devices often have sensitive company owned and personal information. If this information falls into the wrong hands, it causes "high degrees of aggravation" along with countless other issues we don't have to list here. How can you protect your sensitive information from falling into the wrong hands? One way is using Remote Data Wipe. Using Hosted Exchange you can remotely lock or wipe your lost or stolen Blackberry, Windows Mobile, iPhone or Android phone. It can be locked if you have it misplaced, or all data can be securely wiped out if you know you have lost it or it has been stolen. You might loose your phone, but at least your data is safe. Your device will receive a secure wipe command the next time it syncs. Note; Your phone MUST sync in order to receive the data wipe instruction. The good thing is that Smart Phones are intended to always be turned ON and looking for a signal so it can be a matter of minutes for your device to receive the command. As added security, if your device has a PIN Lock, the person who has the device won't be able to unlock it to turn off syncing. We strive to provide businesses with simple, yet powerful, email security. We focus on making all of our solutions uncomplicated for the clients to implement, while at the same time always looking for effective methods that will provide the highest level of protection possible without slowing down our client's productivity. If you phone can get email, your phone will eventually get spam. Our hosted spam solution takes emails through a six-step process to ensure that only clean messages arrive in the end user's mail box. Messages that trigger red flags in our system are sent to our spam trap, or email quarantine for administrators and/or end users to look at and review on their daily spam report. This means no longer having to look through or deleting ten's or hundred's of spam messages on your phone. You simply get your wanted email along with an option of receiving a daily html report that contains all of your trapped email. You can then opt to read through it and 'realease' any emails that you want. Once you begin using the service you won't even look at the report because you will be familiar with it's spam stopping accuracy. We offer an array of mobile device synchronization options providing users with instant access to your email, contacts, tasks and shared calendars. Our fully integrated service offers true wireless service 24/7/365, without the need for cradles or USB synchronization hardware connections. Keep your workforce connected anytime, anywhere through wirless syncronization. Secretaries can setup calls & appointments for team members that will instantly and automatically appear on the team members smart phone. What can wireless syncronization do for me? Besides the obvious of removing the daily manual task of having to syncronize your device with your computer to have the same information on both, it gives you instant access to all your information 24x7. 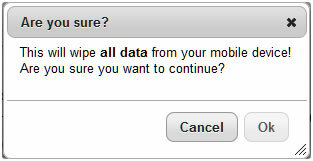 Performing this task manually will not allow you to see new data on the second device until you syncronize again. Wireless syncronization is instant; as you make and save the change on one device it is propagated to the other one automatically. Being deployed as part of hosted exchange, it also provides users with the capability of sharing calendars with other business team members allowing them to schedule call backs and appointments for you which will automatically appear on the end user's phone while on the field. Example: A secretary would be able to see the bosses calendar and schedule an appointment or a customer's call on his/her schedule while the boss is out on the field. This will automatically propagate to his smart phone device and automatically integrate it into his daily calendar with an alert of the new task at hand. No need to send text or email messages in hopes they are received and followed through. ** note: Calendar items may be set to "private" by the boss and the actual time on the calendar will only be seen as a blocked or unavailable time to the secretary. Choose from the leading wireless e-mail and synchronization solutions: BlackBerry, Android, iPhone, Windows Mobile (ActiveSync) thru Hosted Exchange. 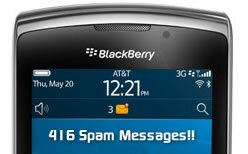 Wirelessly synchronize your Outlook emails, calendar, notes, tasks, and contacts with your BlackBerry device. BlackBerry Hosting Service is fully integrated with your existing Hosted Exchange service. 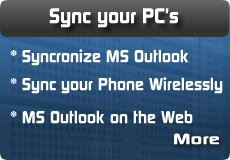 Windows ActiveSync allows users to take advantage of enterprise messaging and collaboration solutions. Stay constantly synced and updated with latest Outlook email, calendar, and contact data. 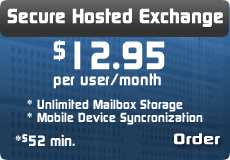 This service is available at no additional charge along with Hosted Exchange. iPhone users with version 2.0 software or higher can now seamlessly synchronize their iPhones via Secure Hosted Exchange. ActiveSync Push Technology keeps you constantly synced and updated with your latest data from Outlook email, calendar, and contacts. 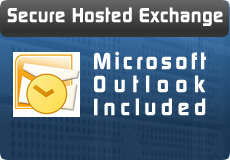 This service is available at no additional charge with Hosted Exchange. The Android software update now supports Microsoft Exchange ActiveSync Push Technology which keeps you constantly synced and updated with your latest data from Outlook email, calendar, and contacts. This service is available at no additional charge with hosted exchange.